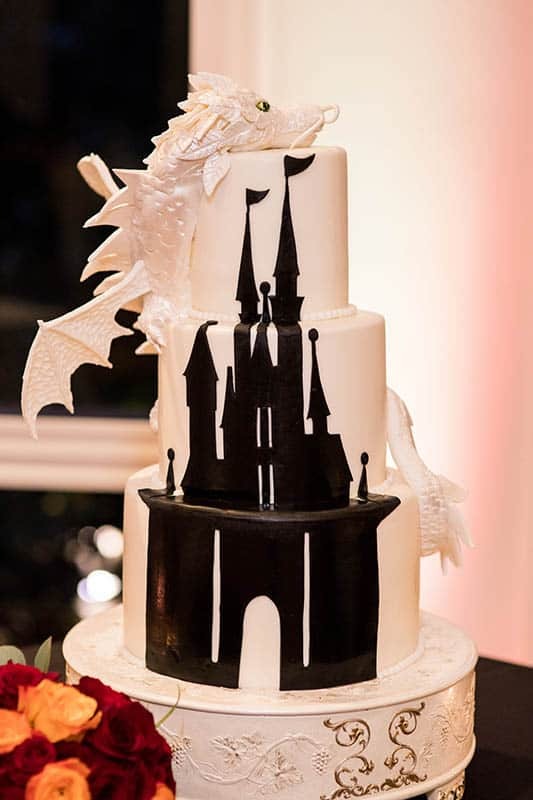 Straight out of a fairy tale, this Disneyland cake is pure perfection. The incredible design and details are sure to wow all your guests! 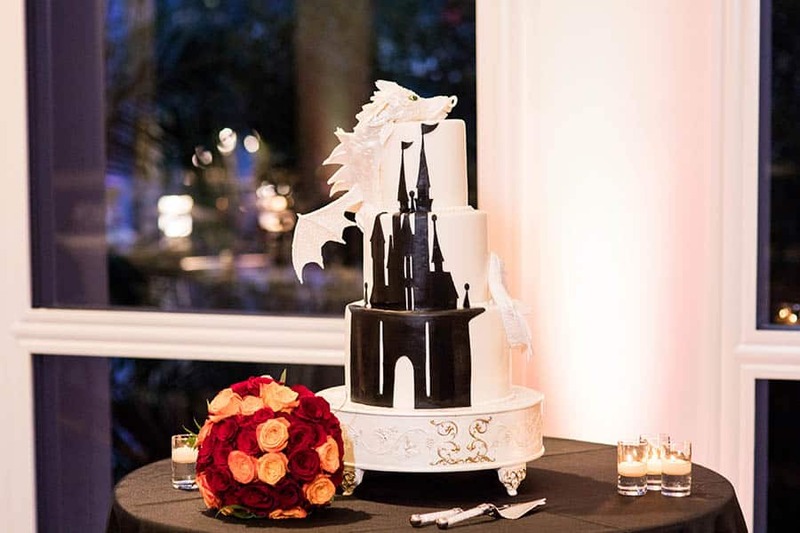 An all white dragon rests atop the three tiers, guarding the black storybook castle. 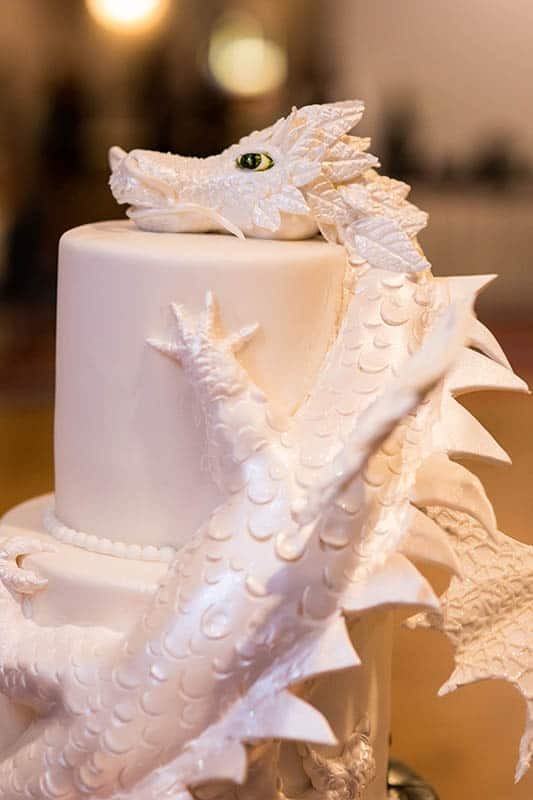 From the delicate scales to the intricate wings, it is almost too beautiful to eat.